I’m not a cool Pinterest mom that can come up with amazing summer activities to keep my toddler occupied this summer. However, I’m very good at finding fun activities that other Mom’s have found successful. 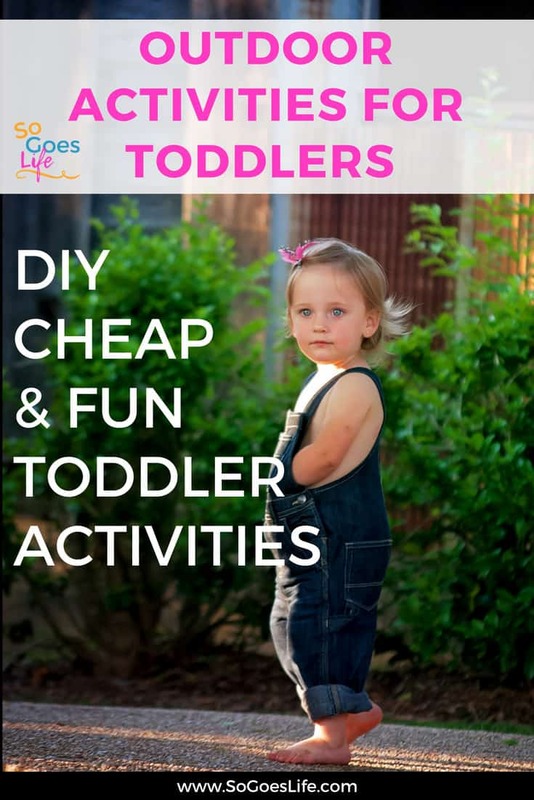 If you are in desperate need of helping to find fun outdoor summer activities for your toddler, look no further. I’m constantly adding to this list as I run across fun posts and try out new ideas. How to make a bubble snake blower – Such a fun simple idea with great directions. What kid doesn’t like creating tons of bubbles. DIY Homemade Water Wall – This one is a bit old for Ella, but I had to include it because it is the best idea ever. I can’t wait to try this one when she gets a bit older. Toy Surfboard Crafts for Kids – At this point, I’d use it more as a bath toy for Ella, but can guarantee she’ll love this one. Pouring station – I love this idea. 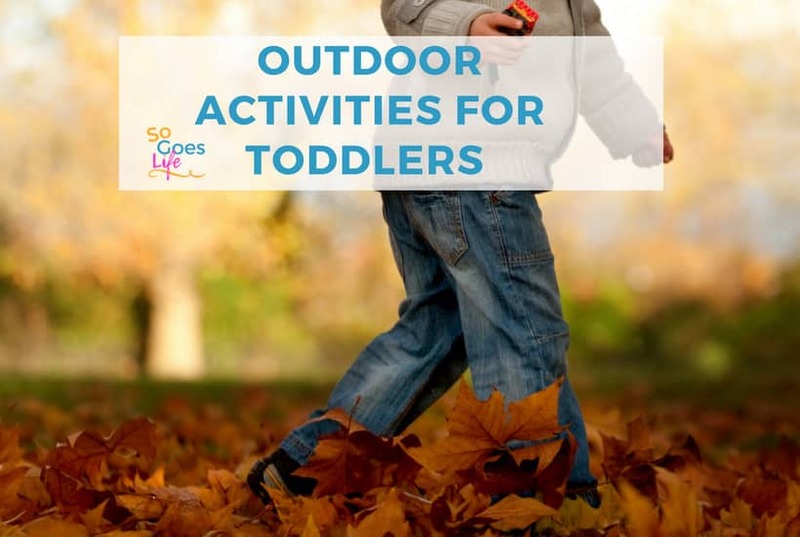 Super simple, cheap, and easy to set up – definitely more of an outdoor activity unless you are super brave. Ice Bath Fun – This is a mixture of the pour station and the colorful melting ice idea – super fun and easy for any toddler to handle. Water Pistol Panting – Another idea for when Ella is older, but one I can’t wait to try. Based on family genes she will love guns. Washable Painting on a Shower Curtain – What a great idea for a huge canvas you can easily clean! Homemade Chalk Paint – What kid doesn’t want to use chalk paint. Frozen Water Bead Activity – I can’t do this one yet since Ella still likes to eat everything, but am bookmarking it for future play. Making Ice Cream in a Sandwich Bag – Always a winning choice during the Phoenix heat. Water Bomb Splash Balls – Ella loves playing with these even at her age. They are a great toy to help teach kids ball skills while keeping them cool. Sprinkler Toys – We have a splash pad in our neighborhood, so I don’t use the sprinkler toy very often. However, I think the sprinkler toy is what got my daughter comfortable around water so that she enjoys the splash pad. Sprinkle and Splash Play Mat – I haven’t tried this yet, but it looks absolutely perfect for a toddler/older baby. I found a ton of ABC type activities for toddlers, but most of them were full of ads and junk that I don’t want my daughter to see yet. I finally found a program called ABCMouse that is completely ad-free. However, it costs, but has a ton of learning games and is inexpensive. My daughter is just about two so I severely limit her screen time. On the rare times I let her on the Ipad, this is what I let her play. While searching for ideas I also came across a couple of planner/kit type packages as well. I need all the help I can get, so the packaged kits are right up my alley. Most of the resource I found are free, but I did end up purchasing one summer fun pack that I’ve been super impressed with so far. It is geared towards kids that are slightly older than Ella, so I recommend The Complete Summertime Fun Planner for parents with kids from 3-10. It is going to be perfect for next year when she is just a little bit older. Right now she just isn’t going to use the scavenger hunts and creative brainstorming worksheet. I really wish she were old enough to use the chore chart – I could use some help in that area. What I will be using are the activity ideas and the planning calendar. There is even a section for out of house adventure planning. The activity and packing lists are pretty cool as well. If you need some fun activities for your kids this summer the Summertime Fun Planner is pretty awesome. It is funny how even though I’ve raised a bunch of step-kids it is completely different when you are dealing with a toddler. My step kids were teenagers, so keeping them entertained was completely different. On a side note, does anyone have a recommendation for a summer fun kit geared towards 1-2-year-olds?